There’s a lot of nonsense on the web about a lot of things. One of the subjects that there’s a lot of misinformation about is religion. Well, this is my attempt to show the faith that my family shares. If you disagree about anything that’s here, please accept it as my opinion. On the other hand, if you’re looking for information, you can contact me at This page should provide answers to the following questions (click to go there). We hope this site may be useful in your quest to discover Islam. May Allah be with you. Who or what is a Muslim? Is Allah the same as God? Read and listen to the first chapter of the Quran, the scripture of the Muslims. Sources of Islamic Thought: The Quran, Hadith, and Reason. External link: Search or read the Quran. External link: What are Hadith? Of course this statement has implications. It demands that you turn away from all who demand your allegiance besides God, and recognize that it is He who is your Lord, your Sustainer, and your Creator. A Muslim must accept and believe in the Oneness, the transcendence and the complete power of God. It is He who really gives you life, and He who will take it away. Most importantly, you must recognize that all matters will go back to God, and you will be answerable to One who sees everything, who hears everything, who knows with certainty the dark suggestions of your soul. The other implication of this statement is that you accept what Muhammad has brought from God, i.e. the Generous Quran. 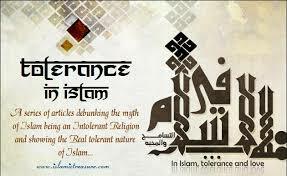 Islam means submission to Allah, the path to true peace for all human beings. A Muslim is a sister or brother who sincerely attempts to do so. It is not a demeaning submission, but one that liberates us from the tyranny of human beings through the acknowledgement of humankind’s equality under our shared creator. No one becomes Muslim by virtue of birthplace or culture; all children are Muslims until they reach the age of discernment between right and wrong. Once this age is reached, submitting to Allah becomes a matter of personal choice and sincere intention. Allah is the Arabic name for God, and incidently, is very similar to the word Jesus (may peace be upon him) would have used for his Creator (Aramaic, the language of Jesus, is a derivative of Arabic). To this day, most Arab Christians use this word for their God. Allah is known by many names, and has sent guidance to all peoples in the millennia gone by. However, the final message to Muhammad (may peace be upon him) was revealed for all peoples, to unite them in an increasingly smaller world. Many Muslims prefer the universal term Allah, to emphasize the reality that the Creator of humankind is One. You alone we implore for help. The manuscript on the left is the first chapter of the Generous Quran, Sura al Fatiha. The text on the right is a translation. This chapter is an invocation made by every Muslim, at least 17 times a day during his or her 5 daily prayers (salah). The following sites provide links to the primary sources of Islamic thought, the Generous Quran and the Hadith. The Quran is the criterion for deciding between truth and falsehood, a source of guidance for all who believe in that which is beyond the reach of human perception. In its original form it is the literal Word of God, and as such is the ultimate source of Islamic civilisation. The hadith are traditions about the Prophet Muhammad, who God described as the exemplar of Islamic behaviour, a mercy for the universe. The hadith are second only in authority to the Quran. The Generous Quran. The universal message from the Creator to our species. Read it with an open heart, and it will reach out and convince you. Remember though, a translation involves interpretation. Therefore, if you’re confused about something make sure you read several translations before jumping to conclusions. By the way, I haven’t read the whole of any of the translations on this site so please don’t blame me if there are any errors there. Sahih al Bukhari. The most highly regarded collection of t raditions narrated about the Messenger of God, Muhammad (may peace be upon him). A word of caution: hadith are a scholarly resource in Islam. The compilators of the books of hadith used various ingenious methods to determine the authenticity of hadith. They did not, however, tell us how to apply the hadith to practical matters of modern life (neither did they claim to). You need extensive knowledge to do this. It is not appropriate therefore to quote hadith read in English (or even Arabic) from a book or internet site, and then give your own fatawa (legal opinions). By the way, although this book is regarded as the most accurate collection of hadith, and an amazing piece of scholarship, even its incredible author did not claim it was perfect. There are some hadith in it which many notable scholars have disputed. Also, remember that if the meaning you derive from a hadith contradicts the clear meaning of the Quran, either your understanding or the hadith must be wrong. 9 times out of ten, it’ll probably be your understanding. In short, use these for your own benefit, but don’t forget Islam is an intelligent religion and you need to use the brain that Allah gave you to understand it! NEW!! Subscribe to Qur’an mailing list to receive at least one verse of the Qur’an in your mailbox, every week! Just send email to with “subscribe” in the title entry!!! A chance to learn about the message of Islam gradually and step-by-step. Click here to skip introduction! Bismi Allah ir-Rahman ir-Rahim Welcome to Dar’ al Islam, the web page for those who believe in justice and the right for all cultures to determine their own destiny. What you will find here is An attempt to present Islam in the way that this Muslim sees it. An honest presentation of some of the things I believe Islam can offer the world. A polite but frank attempt to explain some of the grievances many Muslims feel regarding the “New World Order”. Any attempt to say that any one group is completely bad, or that all members of any group are identical and ‘evil’. If anyone gains that impression, it is not my intention. Any attempt to pretend that members of any group (including Muslims) are free of fault and weaknesses. Perfection is an attribute of God, it is not one of human beings. Peace be upon you! Yahya ‘Abd al ‘Alim Choose what you would like to see! Introduction to Islam: Includes answers to questions such as “Who or what is a Muslim?”, “Is Allah the same as ‘God’?”, “What is the Quran”, “What are Hadith”? Also, read and listen to the 1st chapter of the Quran. Links to Quran sites and Sahih al Bukhari. Islamic Aqida: What do Muslims believe in? A detailed look at the central beliefs of Islam, as well as aspects of Islamic law, including “What is Jihad?” NB: For basic concepts, see “Introduction to Islam” section. 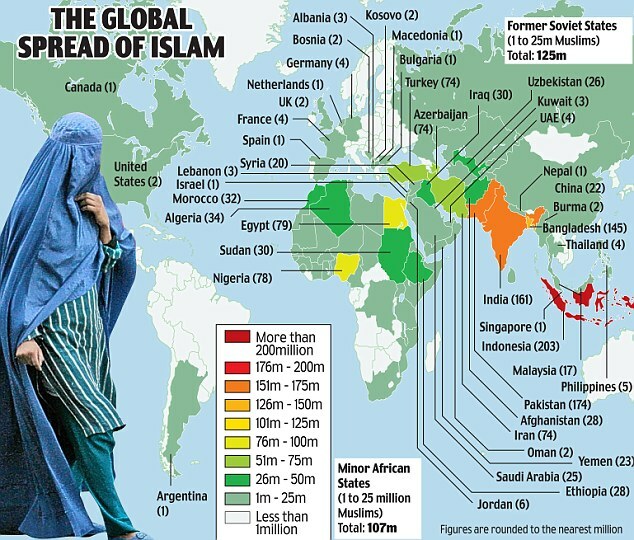 Muslims in the World: A discussion of some of the ‘hot spots’ in the Muslim world and an explanation of the issues involved. This section aims to inform those who don’t want to be misled by the ignorance/ ethnocentrism of the mainstream media. Culture and Social Justice: An attempt to promote an understanding of the far-reaching demands of social justice in Islam, and an appreciation of the diverse culture of Muslims all over the world. Includes Islamic music! One Ayah of Qur’an per week! NEW!!! This service, after a break, is now available! Please send me an email to subscribe! May Allah reward you in your search for knowledge. Any questions or constructive comments, please email me at abd_al_alim@yahoo.co.uk Please note, however, I am not a religious scholar capable of giving fatwa, so please don’t ask me for any! The core of any religion is its basic principles or beliefs. In Islam, these beliefs are simple and their logic can be grasped by anyone with an open mind and heart. The Shari’a is a methodology for applying these principles in everyday life. This page is divided into two sections: Aqida (belief) and the Shari’a (law). Includes new section on “jihad”. Aqida is an Arabic word meaning belief. I hope that eventually this site will tell you in detail about what Muslims believe and why they do so. At the moment, all the links below are off site. If you want to know basic things about Allah and the Qur’an, go to my Introduction to Islam page. The Basis of Muslim Belief: Gary Miller, a Canadian mathematician, describes the logic and rationale (as he understands it) of Islam. This site is highly recommended for both Muslims and non Muslims. Tauhid: The key principle of Islam, the Oneness of God. By Abdul A’la Mawdudi, a famous Pakistani ‘Alim (scholar). Religion & Philosophy: how do I know that God exists? Ibn Rushd, better known in the West as Averroes, provides a philosophical argument against atheism. A truly brilliant man from a magnificent period of Muslim history. 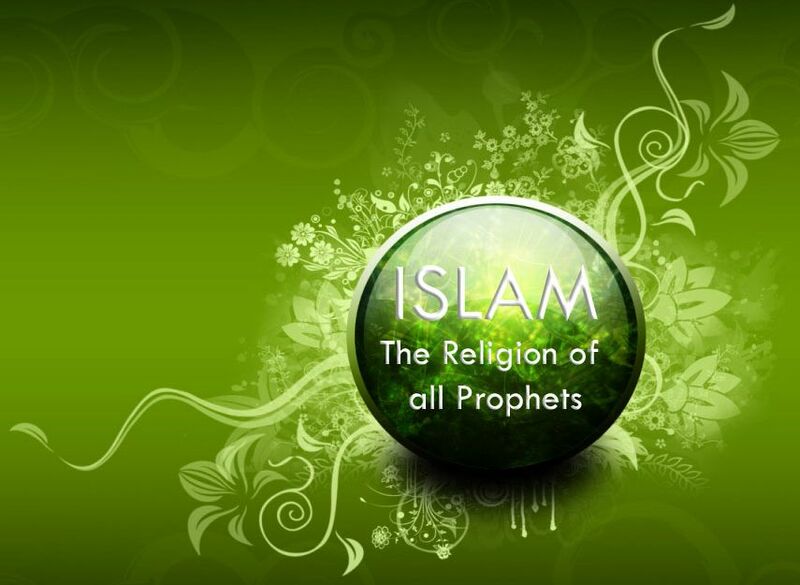 Radio al Islam: A set of real audio recordings discussing in detail the implications of Islamic monotheism, prophethood, and other issues. Quite extensive, but clarification for those who might be inclined to impose their own religions constructs on Islam. In my opinion, this site is also good for Muslims: how much are the beliefs you were taught as a child in accordance with scholarly Islam? The Shari’a is often translated as “Islamic law”. To a Muslim these rules are not a burden, but a divine mercy to humankind. The ultimate sources of the Shari’a are the Quran and the ‘sunnah’, the example of the Messenger of God, Muhammad (may the peace and blessing of God be upon him). The job of interpreting the Shari’a belongs to the knowledgeable among the believers, the ‘Ulema (scholars). The basis of this is this hadith. As there is no ecclesiastical hierarchy in Islam, the decisions reached by any ‘ulema in any particular time are not final, but rather are continuously open for debate. It is therefore completely inappropriate to refer to an Islamic state as a theocracy. While the rulers of such a state should be familiar with the principles of Islamic law, in no way can they be considered to be priests. Their job is to formulate and enact legislation that is appropriate to the society which they are responsible for, always taking the Quran and the authenticated sunnah as their ultimate source of guidance. Jihad. Perhaps there is no Islamic concept that is as misused and misunderstood as “jihad”. A ‘must read’ for anyone who has ever said, “there are many good parts to Islam, but I can’t agree that there’s such a thing as “holy war”. Well, guess what, we don’t think there is either! Al-Maqasid: Imam An-Nawawi’s Manual on Islam. This is a brief introduction to a number of principles of Islamic law, according to the school of Shafi’i. It is more useful for Muslims who are familiar with the basics of Islam, and explains in detail about the salah (prayers). Fiqh us Sunna: Contemporary personal jurisprudence. A really useful resource for those who want fiqh positions based on the Qur’an and sunna. Contemporary legal advice from Dr. Muzammil H. Siddiqi. A excellent source of contemporary fatawa (legal opinions) which will be very useful for Muslims, insha Allah, particularly those living in the West where appropriately qualified scholars may be remote. May Allah reward you in your search for knowledge. Any questions or constructive comments, please email me at the address on my home page. Have you prayed Fajr, every day with the group, in the Masjid? Did you perform all of the prayers daily, inside the Masjid, with the group? Did you read from the Book of Allah (Qur’an) today? Did you mention Allah and Glorify Him after each prayer? Did you keep the extra prayers (Sunnah) before or after each prayer? Were you concentrating daily on your prayers by meditating on what you said in your prayers? Have you remembered Death and the Tomb today? Have you thought about the Day of Judgment and its overwhelming hardship? Did you read a Hadith about the Prophet(sAas) today? Haven’t you thought about being away from those who are evil doers? Haven’t you tried to avoid laughing and joking too much or too often? Did you thank Allah for bestowing on you the hearing, sight, good heart, and all the other gifts? Did you pay charity today to the poor and needy? Did you get angry for your own sake or for the sake of Allah? Did you avoid arrogance and self admiration? Have you cried today out of the fearfulness of Allah? Did you mention Allah after Fajr or Isha prayer? Have you asked Allah to forgive you from the sins and transgressions that you have committed, by making (astaghfir) seeking forgiveness from sins? Did you ask Allah to stabilize your heart and your religion? Did you take the opportunity, make supplications (du’a) in the hours that Allah accepts them? Did you buy a new Islamic book for the sake of learning from it the knowledge of the religion? Did you seek forgiveness for the Believers, men and women, alive or dead, because if you did Allah will reward you for each of them. Did you thank Allah for His Blessings on you, by making you Muslim and for the Blessings of Islam? Did you visit a brother or sister for the sake of Allah? Did you invite people to Allah, your family, your brothers, sisters, or neighbors, or those whom you have been in contact with? Were you kind to your parents today? Have you faced a problem and did you say? “Inna li lehi wa inna leh raja’oon” (By Allah we are created and to Him we shall return). Have you made du’a by saying: “Oh Allah, I seek refuge in You, by the things I have committed wrongfully and knowingly. And I seek forgiveness for the things that I have committed without my knowledge.” If you say this Allah will wipe off the big sins and the small sins.